Thanks in part to competition from the Nintendo 3DS, the PlayStation Vita is quickly falling behind in the handheld market. There's a common belief that having strong third-party support for your console is a sign of success. While Nintendo may have been able to attribute the success of the Wii to its hardware and first-party titles, in the long run, strong third-party support goes a long way towards ensuring a console's long-term success. This detail is one that companies like Sony understand quite well, with the majority of titles on its console platforms being almost exclusively third-party titles. Unfortunately, according to an interview with Sony Computer Entertainment Worldwide Studio President Shuhei Yoshida in PlayStation: The Official Magazine, it's a detail that hasn't translated to the PlayStation Vita, which is lagging behind in handheld gaming markets. "We're having a more difficult time than we had anticipated in terms of getting support from third-party publishers," Yoshida said, "but that's our job ... We will continue to talk to development communities and publishing partners and tell them why Vita can provide a great experience for the IPs they have and I hope the Assassin's Creed game will prove that." 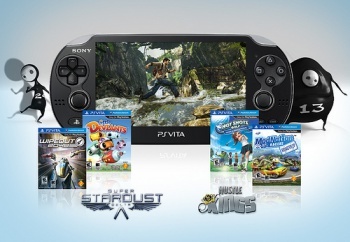 Despite its impressive hardware, the PlayStation Vita has fallen behind the Nintendo 3DS in terms of sales. While neither system had an especially strong selection of launch titles, the 3DS got around that by implementing a competitive price drop. So far, Sony is refusing to follow suit, and Nintendo is reaping the benefits. While the PlayStation 3 home console has done very well, the mobile and handheld markets have changed dramatically in recent years, and that's after the original PSP system failed to impress gamers as first predicted. If Sony wants to attract third-party developers, developing a positive relationship with communities is a good start, but having a handheld system they'd feel confident developing for goes even farther.